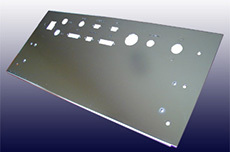 PEM Sheet metal Ltd offers a full CNC Punching service. We currently operate Amada CNC punching machines, giving us the ability to punch sheet metals from 0.2 mm to about 3 mm thick. Our maximum nominal sheet size is 2.5m x 1.25m although we can handle sheet sizes up to 3m x 1.5m if required. 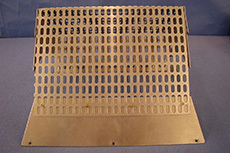 Additionally we run an advanced 5 kW Laser Cutter which complements our CNC punching capability. PEM Sheet Metal holds a stock of the most common sheet metals, such as mild steel, zintec, galvanised sheet, stainless steel and aluminium in gauges from 0.7 to 6 mm. 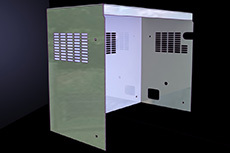 Coupled with our advanced CAD / CAM and CAE allowing use to read almost all CAD files directly into our systems, we can offer an extremely rapid service in sheet metal punching. All our CNC machines are linked via our network to our CAD department. All programming is conducted ‘off line’ and is download into our machines using our Database Management System. In this way errors such as the manufacture of old versions or issues is eliminated. 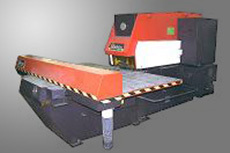 PEM Sheet metal uses RADAN software to generate the CNC programs. In our trails RADAN software produces a technically superior code, resulting in a better quality of punching and less tool wear. We have an extensive collection of stock tooling. 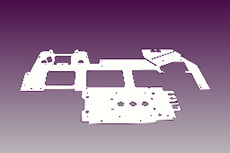 We have standard tooling covering all normal hole shapes and sizes, Round, square, rectangular etc, and additionally we also have many special tools to cover electrical and electronic requirements such as D, Double D, Keyed Rounds and type specific punches for through bulkhead multipole connectors. Ribs, Tabs, Lances and Half Shears are also catered for. 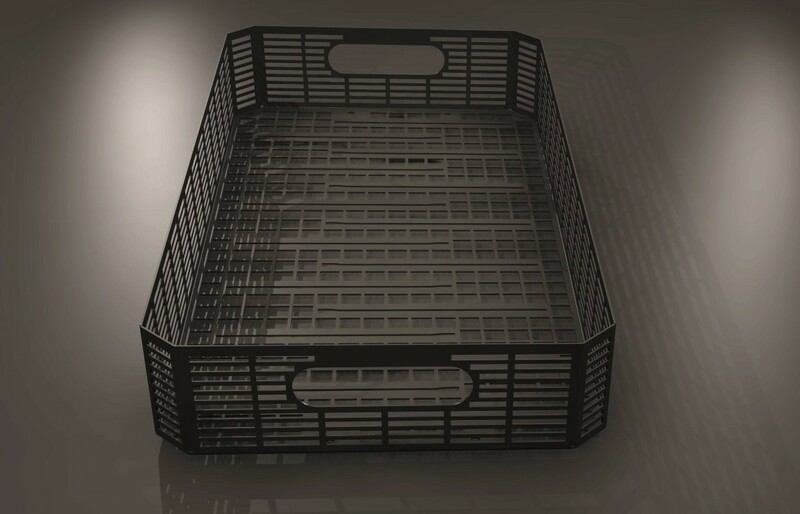 We have the tooling and capability to produce sheet metal components from brackets, plates, grilles and baskets, to front panels and PCB hardware, through to the most complex Fabrications, Cabinets, Racks, Cases and Enclosure Systems. 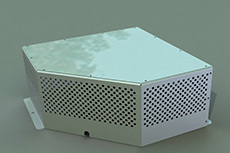 For products requiring the best possible finish such as Front Panels and work in stainless steel where there is no additional processes, we normally use plastic coated sheet materials, ether on one or both sides. This plastic is removed after manufacture and helps to prevent scratches. Differently to other sheet metal subcontractors PEM Sheet Metal can, if required, subject the raw sheet material to extensive inspection at the suppliers before it has it’s protective coating applied. This provides the extra quality assurance our customers require.